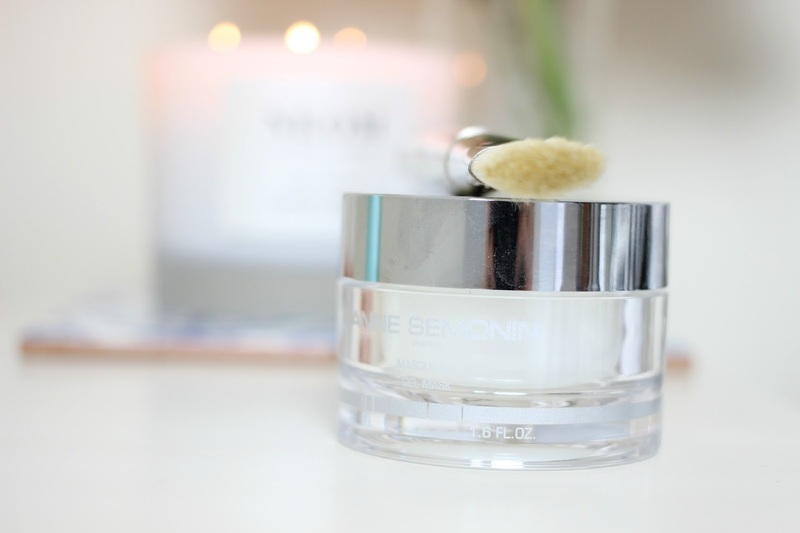 I’ve been making a real effort to be kind to my complexion recently, this month I have been sticking to just one skincare brand to allow my skin to really become used to a routine (find out more about this here!) and I’ve been consciously eating more healthily and enjoying exercise on a regular basis. 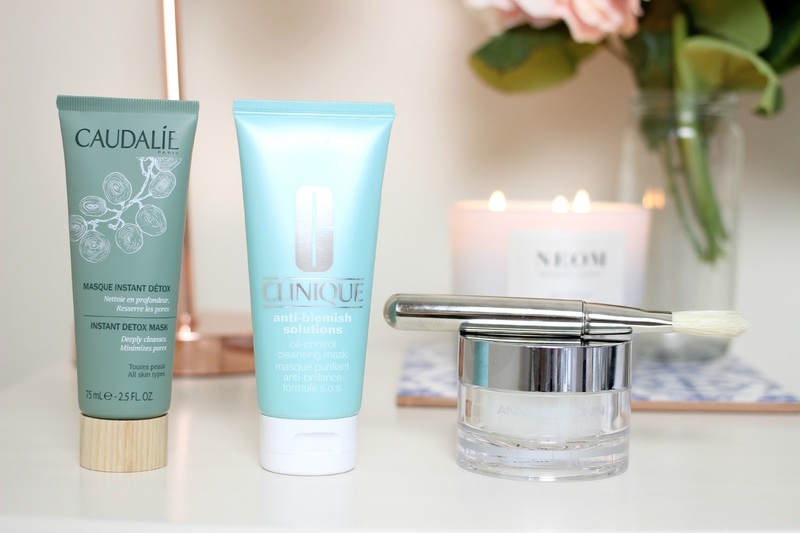 All of this has been resulting in a huge improvement for my skin, but even every now and then after a long day it still can look a little lack-lustre, and I just crave a thorough pampering when I get home! My mask routine tends to vary depending on how my skin is behaving, do I need to unclog my pores after a day of wearing too much makeup? Or hydrate dry areas with a quenching mask? Sometimes I’ll use more than one mask at a time, allowing each section of my face to get different benefits from a mask. Perhaps a clay mask to draw impurities from my T Zone, while a gel mask can hydrate my cheeks and forehead. As part of my Anne Semonin skincare routine, I’ve been including their Gel Mask for those evenings when my skin needs cooling and refreshing (aka almost every evening after a stuffy commute home!). I apply it after removing my makeup, almost as soon as I get home, and leave the cooling mask on for sometimes up to an hour, letting the vitamins and essential oils inside work their magic at bringing back the glow and improving my skins elasticity. Sometimes my skin just needs a more in-depth cleanse, if my pores are looking clogged for example, and I want to detox my skin. 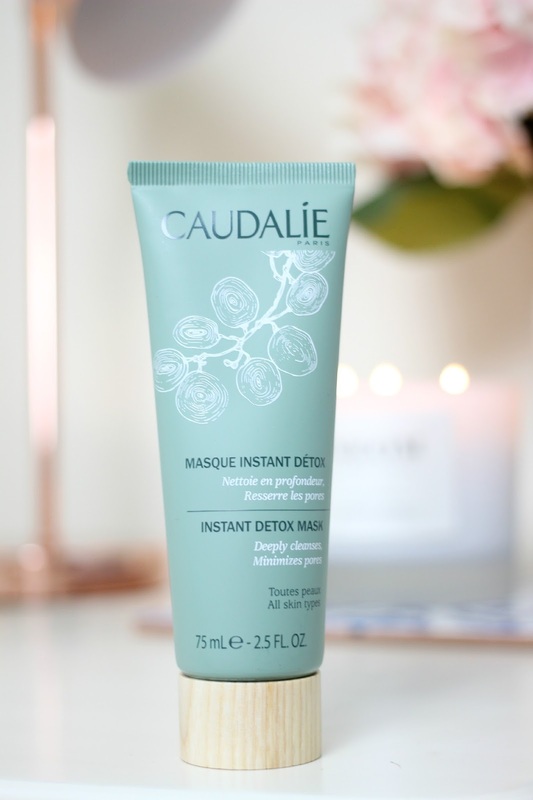 On days like this I reach for the Caudalie Instant Detox Mask which unlike many other clay masks, is pink, instead of grey/black. I love this if I’m concerned about pores because I don’t have to worry about the colour of the mask ‘staining’ my pores. It works deep within the skin to pull out impurities, and pores are left noticeably smaller after using it. I apply a thin layer all over my face, and then rinse off using a warm wet flannel. Sorry for the TMI, but at some points during the month, my skin is an exact mirror to how crappy I’m feeling and it’s clogged up and seriously misbehaving. 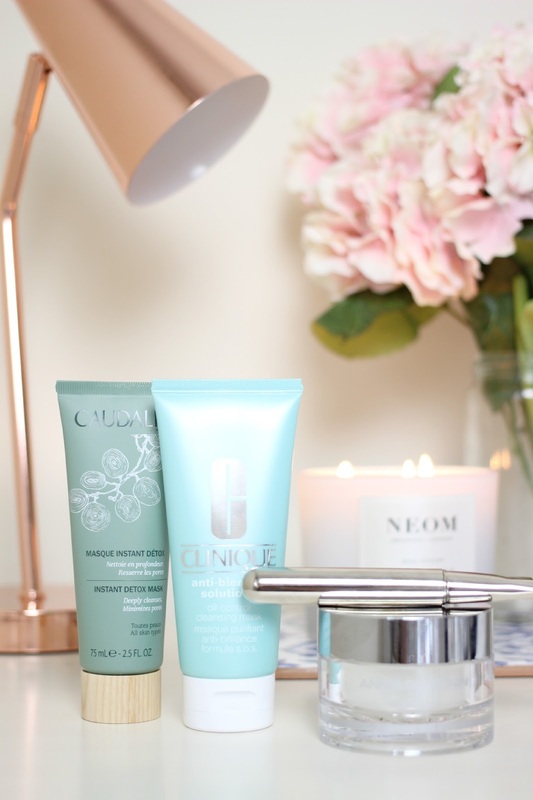 In emergency situations such as this when I’ve had a breakout, the Clinique Anti-Blemish face mask is a saviour. 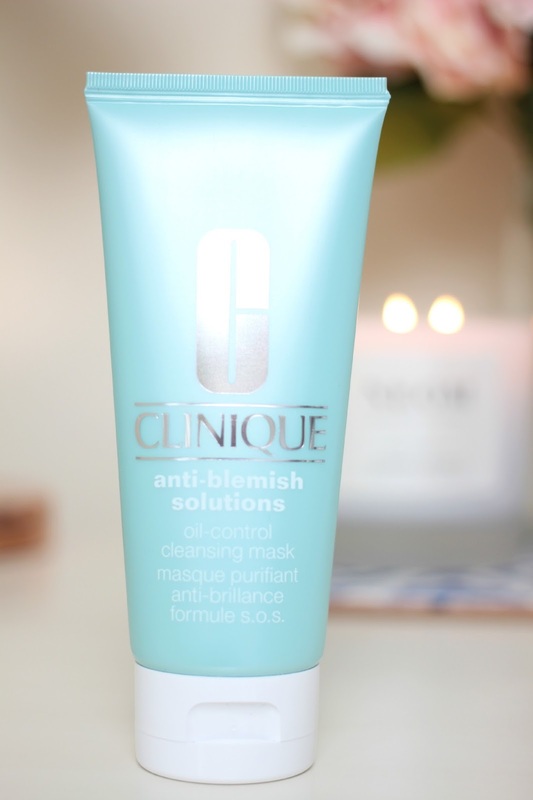 Not many face masks actually target blemishes directly, but this one from Clinique is actually medically formulated and it works to deep clean the pores from excess oil and dirt, so your skin is firstly less likely to blemish in the first place, but any imperfections will be smoother and less angry after using the mask. It also works to keep oil under control, so no more shiny forehead and chin half way through the day! What are your favourite face masks? Have you tried any of these?